Houston just got a little bit sweeter with Sugarfina, the world’s finest candy boutique, opening its doors to its newest boutique in the Houston Galleria. The Houston boutique welcomes shoppers to candy heaven with a sweet selection of treats for every occasion, from perfectly-packaged hostess gifts to Rosé All Day Bears® for brunch. Inside, guests will find 150+ gourmet candies from around the world, three-quarters of which are exclusively available at Sugarfina. Shoppers can customize their own candy gift with the Design Your Own Candy Bento Box® experience, which features an eye-catching wall of the brand’s finest chocolates, caramels, gummies, and jellies, packaged into signature lucite Candy Cubes®. Customize a 3pc, 4pc or 8pc Candy Bento Box®, or go over-the-top with the luxurious Sugarfina Candy Trunk which holds 20 Candy Cubes®. 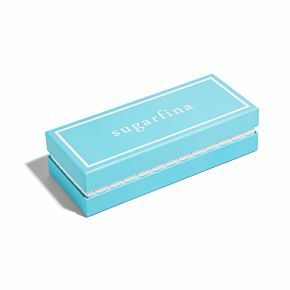 Sugarfina made its debut August 2012 selling its premium curated confections online. Cocktail candies, including Champagne Bears®, Single Malt Scotch Cordials, and Peach Bellini® gummies are top-sellers, and the brand quickly flourished into the must-have in high-end candy. Sugarfina opened its first retail store in Beverly Hills in 2013 and now has 36 U.S. retail locations and 16 Nordstrom Shop-In-Shops throughout North America. Sugarfina’s crisp aqua-and-white retail boutiques are designed to transport guests to the candy stores of their dreams with hundreds of beautiful candies displayed in modern Lucite cubes. Named one of the ten most beautiful candy shops by Architectural Digest, Sugarfina’s newest outpost is a 364 square foot shop that will feature the brand’s signature bright white design, glossy white fixtures, and an blue neon “Candy” sign inside. Design Your Own Candy Bento Box® Experience: Shoppers can select an empty 8-piece, 4-piece, or 3-piece gift box and build their own Candy Bento Box® from the wall of candy cubes. Top Shelf Candies: One area of the store is dedicated to “top shelf” candies — exotic offerings from around the world such as, Kyoto Blossoms from Japan, and interlocking chocolate wedding rings from Greece. Candies for Specific Needs: An icon-based labeling system identifies which candies are vegan, vegetarian, fat-free, kosher pareve, kosher dairy, all-natural, non-GMO, and made without gluten. In-Store Sampling: Sugarfina associates offer complimentary daily samples with a selection that rotates weekly. The Sugarfina shop in the Houston Galleria is located on the second floor next to Fossil and Zara. Starting June 11th the boutique will be open Monday-Saturday 10am-9pm and Sunday 11am-7pm. Two additional boutiques will open this summer at the Rice Village shopping district and Market Street in The Woodlands. Sweethearts Rosie O’Neill and Josh Resnick have dreamed of opening a luxury candy boutique ever since their third date, a screening of Willy Wonka and the Chocolate Factory. Inspired to create the first-ever candy store for grown-ups, the couple traveled the world in search of the finest candy makers to produce their exclusive and inventive line of confections. Best known for Champagne and Rosé-infused gummy bears, Sugarfina has been named “World’s 50 Most Innovative Companies” and “World’s 10 Most Innovative Retailers” by Fast Company as it disrupts the $200B confections industry. Recognized as one of the “World’s Most Beautiful Candy Shops” by Architectural Digest, Sugarfina opened its first boutique in Beverly Hills in 2013 and now has more than 50 locations across North America in major cities such as Los Angeles, New York, Boston, Chicago and Vancouver. To learn more about Sugarfina, visit http://www.sugarfina.com or follow us on Instagram, Facebook and Twitter @sugarfina.